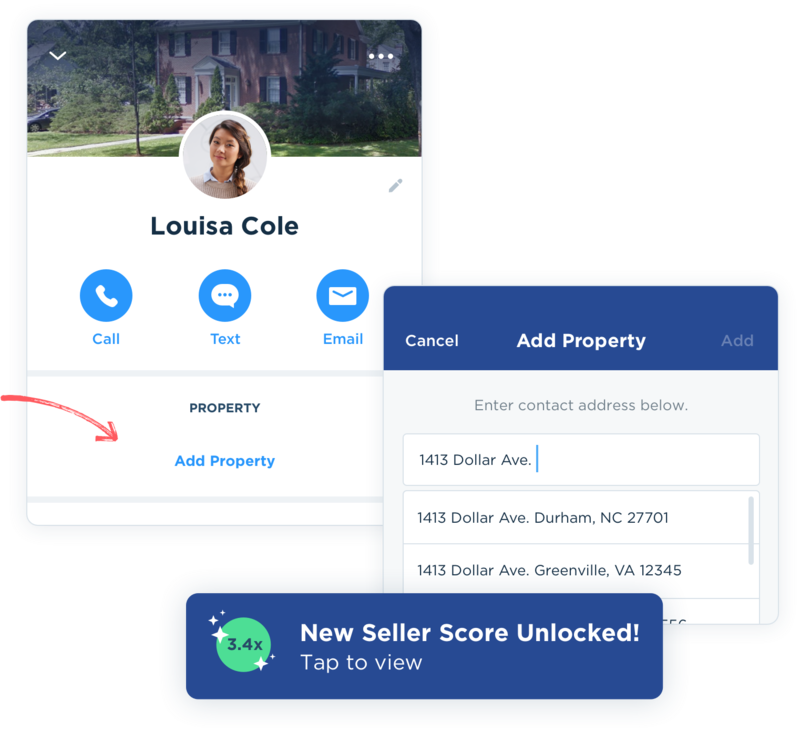 Add a new property and get a seller score! On a contact detail page, tap the “Add Property” button. Use the search bar to find the property. The search bar only supports single family home addresses at this time. Get notified if we find a seller score! See incomplete or outdated contact information? Fix it on the spot! On a contact detail page, tap the pencil icon. 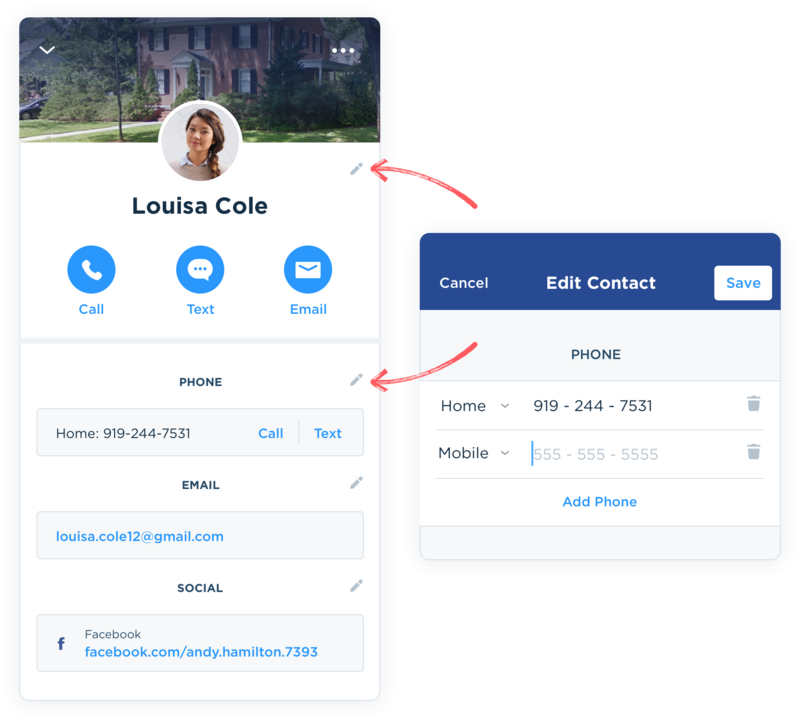 Add or edit the name, email, phone, or social media link of a contact.